Documentation and SupportReleases Vidalia Release Notes 2016-02-09Deleting selected records now counts rows, adding confidence in action! 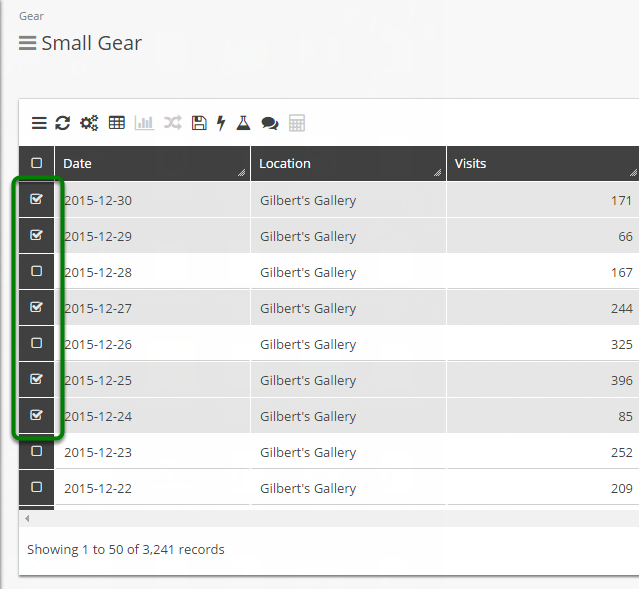 Now when a user selects multiple rows from Grid View to be deleted, delete confirmation displays count of selected rows. This adds a higher level of confidence to the user that he or she will not accidentally delete more rows than desired. Click HERE for more information about Grid View. 1. Open a table in 'Grid View'. 2. Select the rows to be deleted. 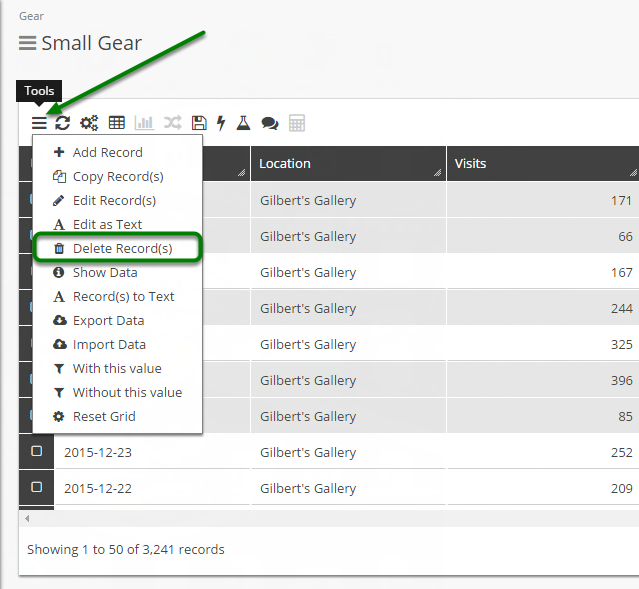 Select the rows by clicking the check boxes along the left side of each record. Note that each selected row is highlighted in the Grid. 3. Click the 'Tools' sandwich and select 'Delete Record(s)'. 4. A 'Confirm Delete' message box will appear, displaying number of records to be deleted. 5. Click 'Yes' button to execute deletion of selected records. 6. Delete is completed successfully. The user will be returned to the Grid View. The selected rows have been removed and the user will receive a notification of delete success. Prev: When creating a new User, a default theme can be selected. Next: Conditional Formatting now available on Tables created 'From Connection'.